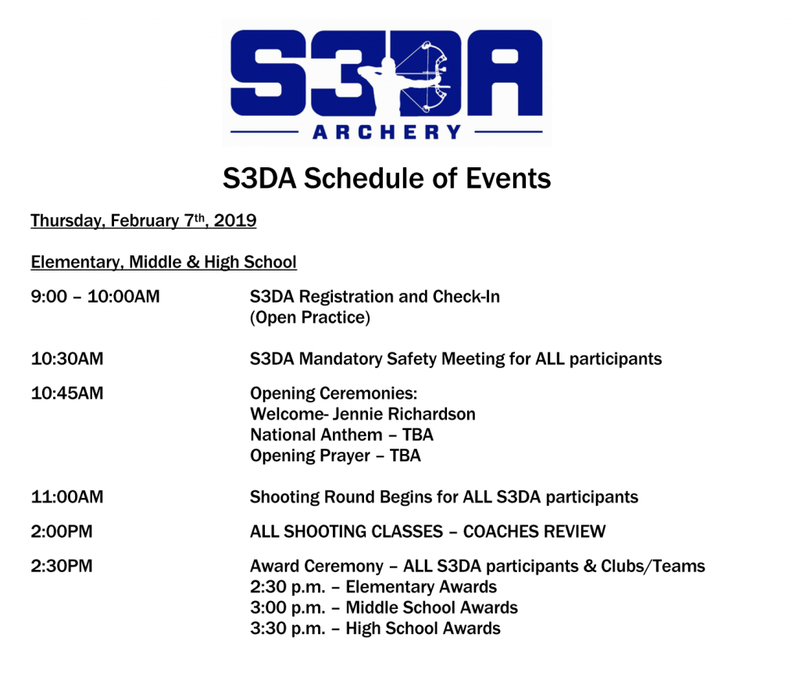 S3DA will host their 3rd S3DA Vegas Indoor National Championship on February 7th, 2019 in conjunction with NFAA’s Vegas Shoot. Students will have the opportunity to compete against S3DA members from across the United States for the title of “National Champion” in their division. The competition will be “Vegas Style”, including 30 arrows, (3 arrows per end for 10 ends at 20 yards). Registration will be $36.00 per archer.